This is a lovely ring. 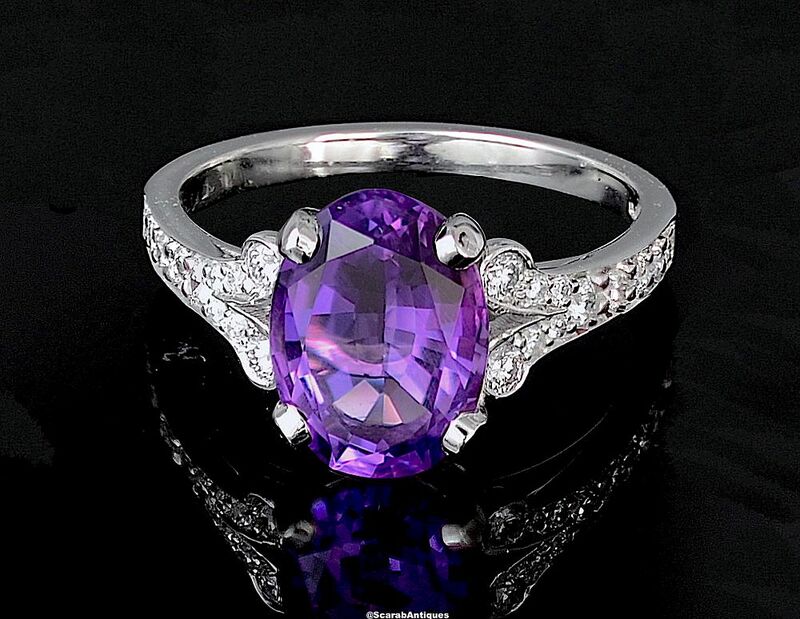 Made in platinum it is set with an oval amethyst above diamond set scrolling split shoulders above a tapering platinum shank. The amethyst was been cut from the rough by Alan.